NEW!!! - Click here for detailed Volunteer Help! Please see Calendar above for most current events! Thank you! 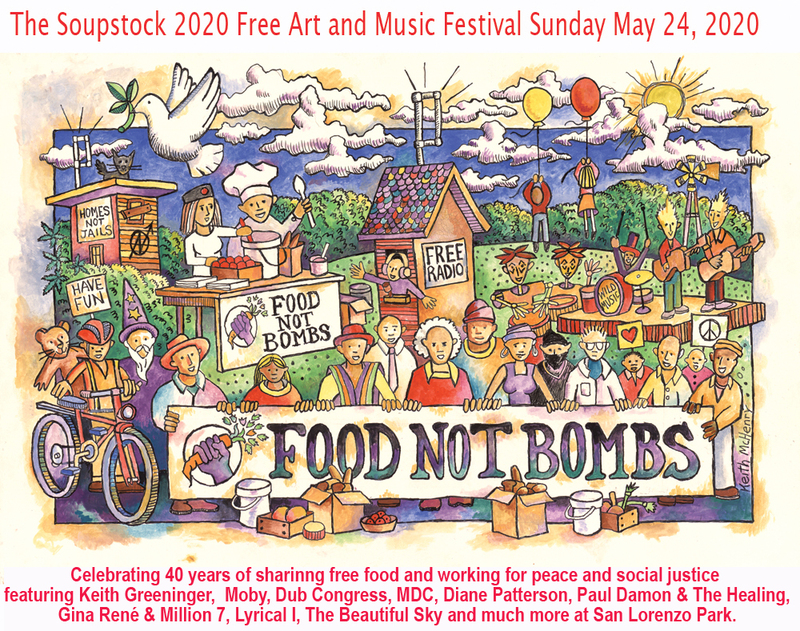 Support the right of Food Not Bombs to share free food, info and ideas in Santa Cruz! 2. Support Food Not Bombs when you search the Web with Goodsearch! 3. 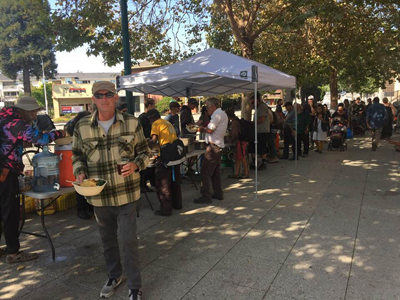 Donate - To Donate to the Santa Cruz Chapter, please add 'Special Instructions to the Seller' and put in 'for Santa Cruz Food Not Bombs'. 4. Support Food Not Bombs when you shop on Amazon - If you can't buy what you need locally please consider supporting Food Not Bombs by listing us as the organization you wish to donate too on Amazon. We will use the funds to feed the hungry vegan meals and work to end war, poverty and protest the Earth. Thanks. 3. Food Not Bombs is not a Charity and is Dedicated to Nonviolent Social Change.